October 21, 2016 (Burbank, CA) – On December 2 Warner Bros. will release a best-of compilation package of Avenged Sevenfold’s biggest Warner Bros. hits to date. 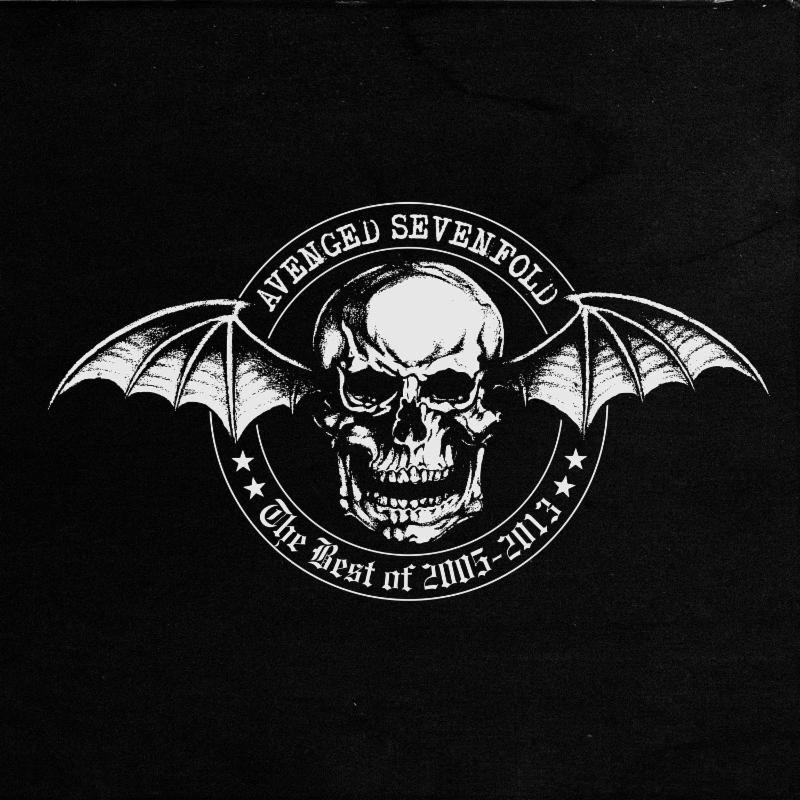 The two-disc set, titled The Best Of 2005-2013, features 18 songs from Avenged Sevenfold’s best-selling Warner Bros. albums released between 2005 and 2013 including City Of Evil, Avenged Sevenfold, Nightmare and Hail To The King. The package also features a cover of Black Sabbath’s “Paranoid”, originally on the Warner Bros. tribute album Covered, A Revolution in Sound as well as two original songs that Avenged Sevenfold wrote for video games: “Carry On” (Call Of Duty II) and “Not Ready To Die” (Call Of The Dead). The album will be available at all physical and digital retailers on December 2. While at Warner Bros., Avenged Sevenfold achieved worldwide success with a string of best-selling albums – including their 2005 platinum breakthrough City Of Evil, 2007’s Avenged Sevenfold, which topped the Billboard Alternative, Hard, and Rock Charts, and two consecutive No 1’s on Billboard’s Top 200 Albums chart, Nightmare (2010) and Hail To The King – achieving Diamond, Platinum and Gold awards for album sales in nearly a dozen countries. They have also scored a series of Top 10 singles at multiple formats, including “Bat Country,” “Almost Easy,” “Scream,” “Nightmare,” “Welcome To The Family,” “So Far Away,” and “Hail To The King,” and their latest, “Shepherd of Fire.” The band, which hails from Huntington Beach, Calif., have become known for their spectacular live shows, routinely selling out arenas worldwide and headlining some of the biggest and most prestigious music festivals. Adult Events-Nudes A Poppin Celebrates Its 43rd Year This Month ! Chelsea’s World Presents The Tall Ships of Fairport Harbor ! Chelsea’s World Presents The Pixies !